We had a visit from the fire department on Tuesday morning. Our fire alarms started and the automated system was saying, “fire, fire, fire”. We searched and searched and couldn’t figure out where this supposed fire was burning. After 25 minutes, some very freaked out dogs, and no sign of fire…the alarms were still blaring. Fearful that there was an electrical fire within a wall somewhere in the house I made a call to the fire department after calling the construction supervisor of our neighborhood to see if he had any ideas. The fire department of course told me to call 911. Which I felt uncomfortable doing because there wasn’t a fire, but did it anyway. Meanwhile, the construction supervisor showed up and began removing all of the alarms one by one. In every single room and hallway. The noise was deafening. I’ve never heard fire alarms blare so loudly. We’ll certainly never sleep through them if we have a fire in the middle of the night. In fact, the people in the town next to us won’t either. Dogs were moved to the garage where there aren’t any fire alarms. (I made a mental note of that fact.) Abigail rested quietly on her dog bed in Tony’s “man cave” area of the garage while Romeo hid behind the truck, shaking like it was the end of the world. So the fireman arrived. Extremely friendly and very good looking as all firemen are. Of course we had just returned from walking the dogs and I was dressed in exercise clothing, sweaty, and didn’t have a stitch of makeup on. They searched high and low and used some fancy equipment to test for hot spots in the walls, smoke, and any sign of gas leakage. A Low Boiling For 7 Minutes. The construction superintendent assured us his electrician would be here at 1:00 PM and then he exited the house as quickly as he came to probably try to recover what was left of his hearing. But at least it was quiet again. Sitting Out At Room Temperature Until Cooled. Well, 1:00 PM rolled around, then 2:00, then 3:30, then 4:30. I’m sensing a pattern in this neighborhood with the “construction” people and their inability to look at their watches. So I called the construction superintendent and left him a voicemail to let him know that his electrician never showed up. After A Night of Refrigeration. Glorious!! He returned my call to let me know he had sent a text to my husband two and half hours earlier to let him know it would need to be rescheduled to Wednesday morning. My husband was upstairs in his office. Of course he didn’t let me know about the text until 2 1/2 hours later…right after I called the construction superintendent in my mother voice. I wondered quietly to myself how they get through life with such a glaring lack of communication skills. 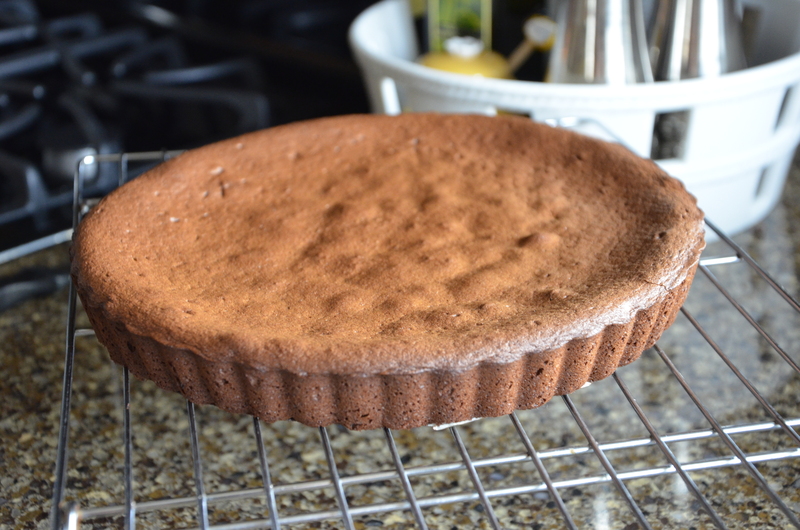 I Really Wanted Fluted Edges So Baked The Cake In A Tart Pan. The Half Full One Will Be Saved For Non-Guests Only and Late Night Snacks. So along comes Wednesday, which was my 46th birthday and the reason for the fabulous dessert. The electrician showed up in the morning, late of course, but he did show up. And as I had guessed, after checking all of the alarms and the electrical, had absolutely no clue as to why they went off the day before. Then he actually asked me for the fire alarm manual. Which he then read out loud to us along with 1,000 meanings as to why they flash a red light every 30 seconds, randomly, or continually and when the green light is going to be on and why, and how to reset them….and on and on and on. At that point I had checked out. I had enough of late people and no answers and was annoyed quite frankly by the very presence of multiple men who don’t know what they are doing. 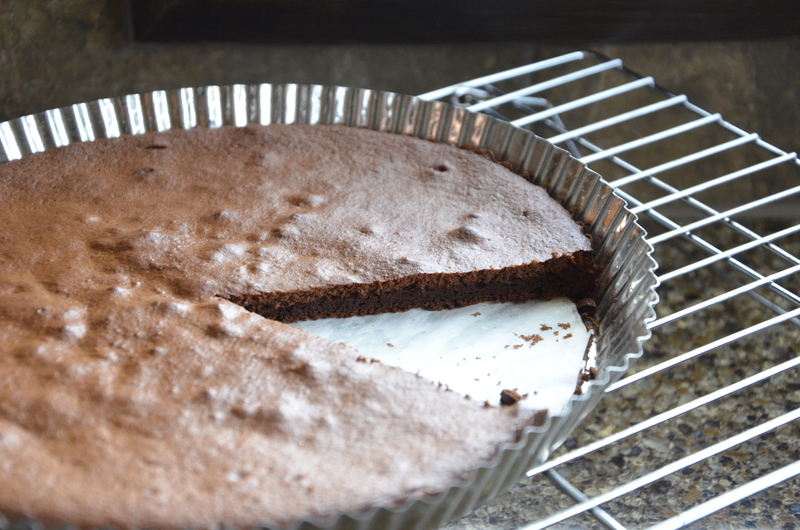 A Taste Test of The Half Full Cake. So as I stood there in physical form, my brain had checked out and instead of listening to a grown man read me instructions that I could easily read myself, I sent thank you notes on Facebook to people who were wishing me a happy birthday. Smart phones and Facebook…the all natural relaxation remedy. Amen. 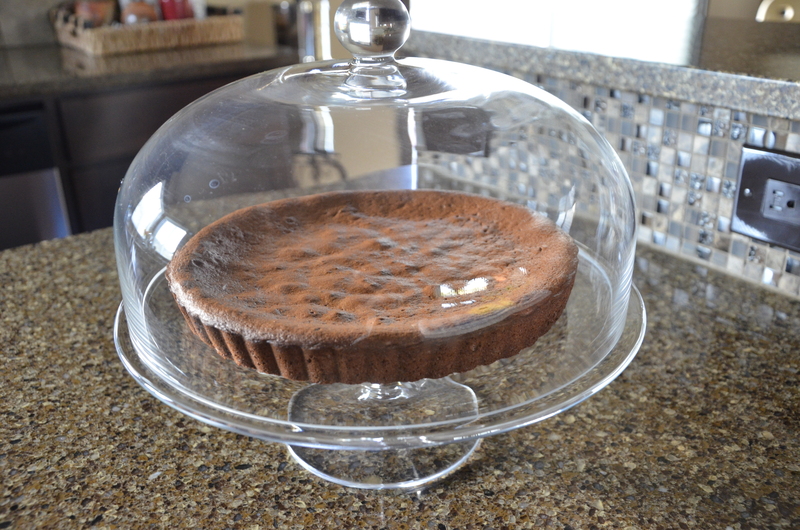 After cooling for 15 minutes, I Placed The Cake in A Cake Dish To Steam To Assure It Would Remain Moist. So the electrician left and we had no answers as usual. We moved on to enjoy a very pleasant birthday lunch with my mother in law and our son. I made simple chicken and vegetable kabobs and a coleslaw salad. We finished with a flourless cake, coconut milk ice cream, and an impressive dairy free caramel sauce made with organic raw honey. Romeo had been ill all day (intestinally) and we figured it was from the stress of the alarms the prior day, considering flies and bees will send him running for cover. But by afternoon, it hadn’t stopped. And then vomiting and panting began. At 5 minutes to 5:00 I called the vet to see what to do. They were closing in 5 minutes and said we needed to take him to the emergency vet on the other side of town because the combination of diarrhea, vomiting, and panting is serious business. So off Brandon and I went. Tony had to submit some paperwork for something or other to someone so he didn’t accompany us. 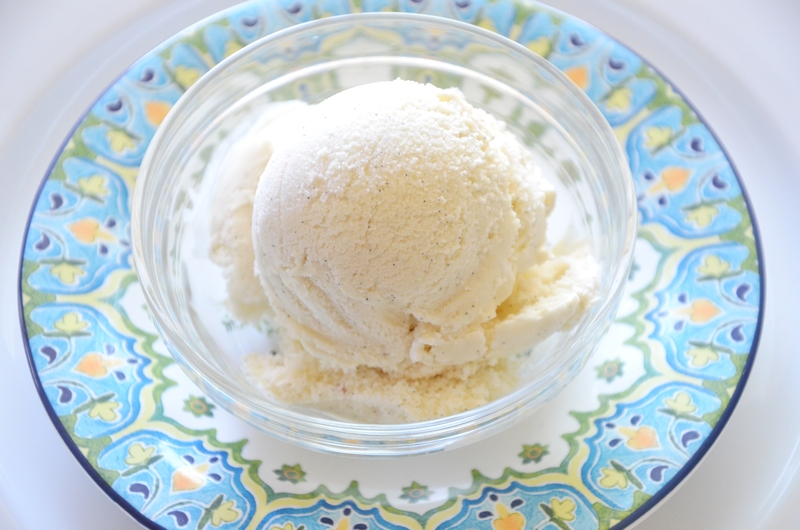 Absolutely Fabulous Vanilla Bean Coconut Milk Ice Cream. The vet visit turned out fine, nothing horrible thank God… besides the bill of course. $700.00 for blood work and x-rays to make sure nothing of extreme emergency was going on. The doctor said that Romeo’s blood work was SO fantastic that he actually had never seen test results so great. They gave him an anti nausea injection, an antibiotic injection, sent us home with antibiotic pills and recommend ice chips and water for the rest of the night. They also had no answers and figured that he had “eaten or drank something on our walk the previous day that didn’t agree with him”. After I paid that horrific bill I then felt nauseated and wondered why they didn’t send me home with a prescription included in that price, or at least a cocktail. So at 7:30 PM after being up and on my feet since 4:00 AM, I dropped the kiddo off at his house who was kind enough to come with me, even though he had been suffering from a terrible headache all day. I then hauled Romeo home, but not before sitting in front of the gate to our neighborhood trying to find the stupid code I had typed in my notes area of my phone. I finally arrived in our garage just in time to have the fact pointed out to me, that the gate opener to the neighborhood was right above my head, on the visor in the truck, all along. Upon walking in the house I was faced with the luncheon mess that hadn’t cleaned itself up and kitchen that needed cleaning. 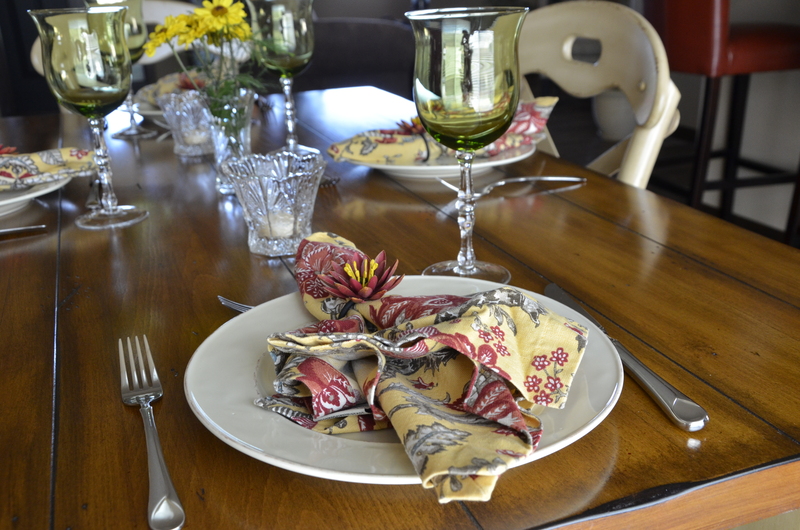 I cleaned the kitchen and dining room, ate leftover chicken and vegetables for a late dinner in front of my computer, and thanked all of the amazing people on my friends list who had sent me the most heart-felt, loving, birthday notes that made me cry. I slathered myself in Lavender oil, and went to bed. I prayed for rest, and thanked God that Romeo wasn’t suffering from anything serious, said my thank yous that our house was still standing and my health is still holding, and finally… that I had made it through another year. A light and airy texture, but not as intense or moist as I would have liked. 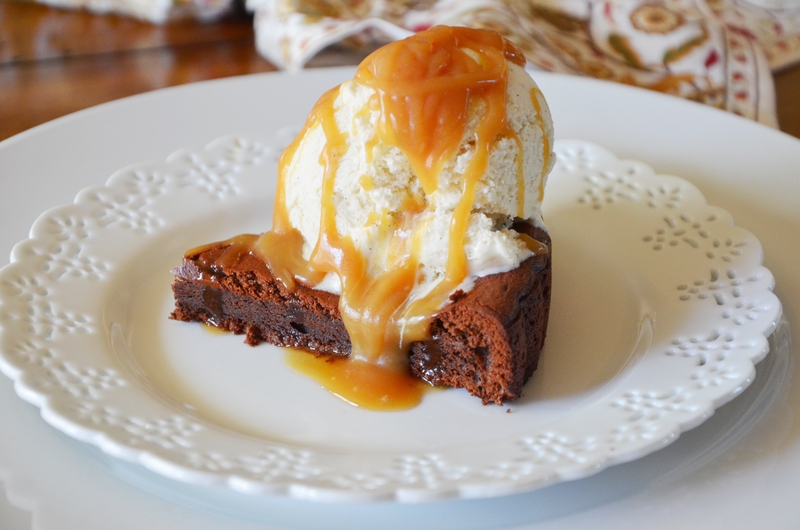 Still delicious and very good with the ice cream and caramel sauce. 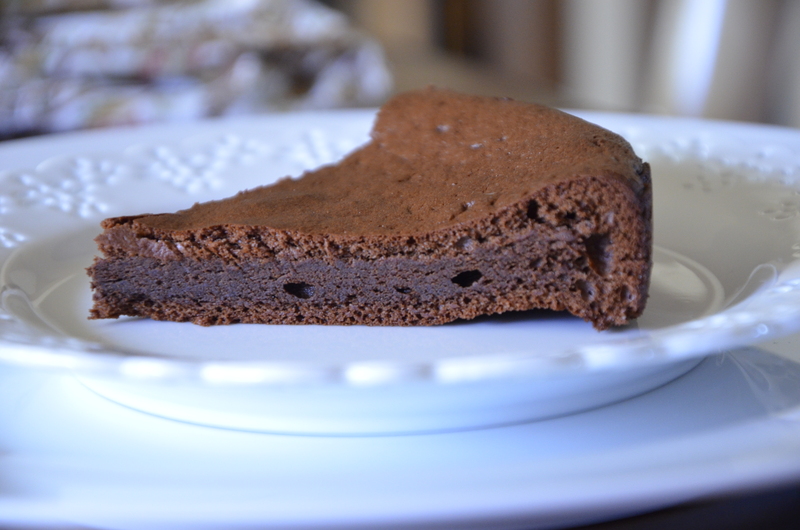 Next time I will experiment with more coconut oil and more chocolate. Preheat oven to 325 degrees (I use convection). 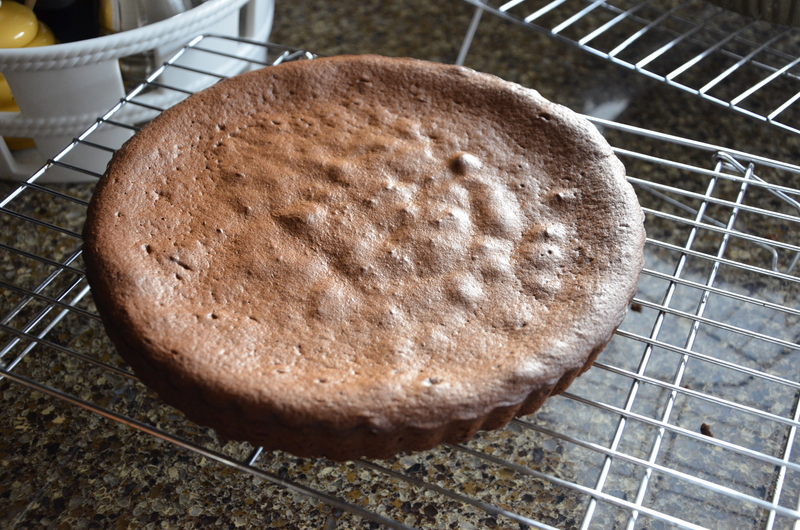 Line the bottoms of 2 tart pans or one 9 inch cake pan with parchment paper and rub the paper and pans with coconut oil. Place the 3 Tablespoons of coconut oil and chopped chocolate in a small glass bowl over a steaming pan of hot water. Stir until combined and fully melted. 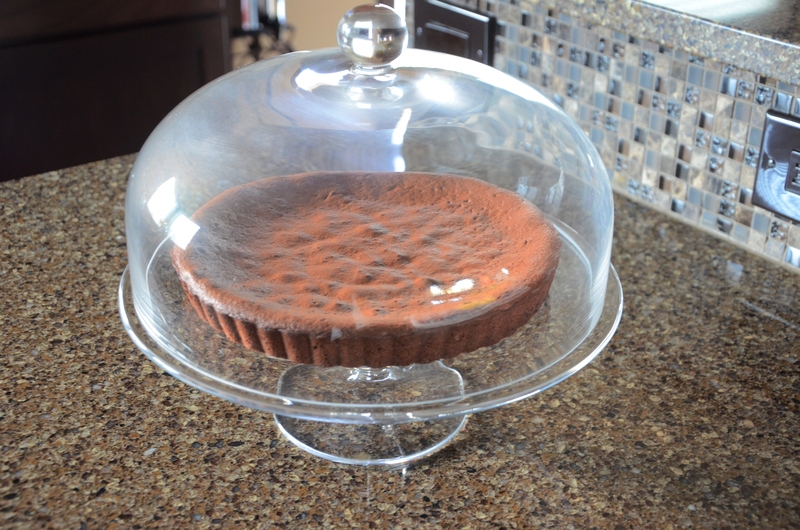 Remove bowl from steaming pan, wipe bottom of bowl with a towel to avoid any water dripping into the chocolate. Set aside. In the bowl of your mixer, beat the egg yolks and 1/2 cup of coconut crystals on medium high until thick and fluffy and crystals have dissolved completely. 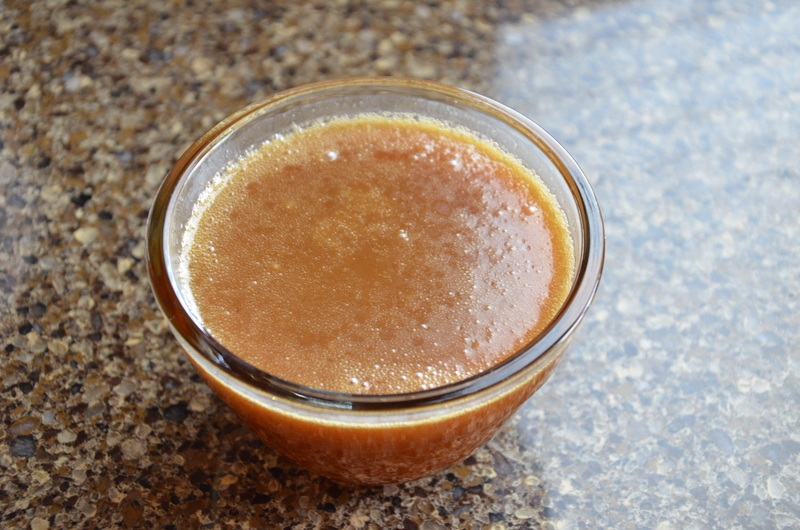 Add the instant coffee or espresso powder, salt, and beat until combined and coffee has dissolved. 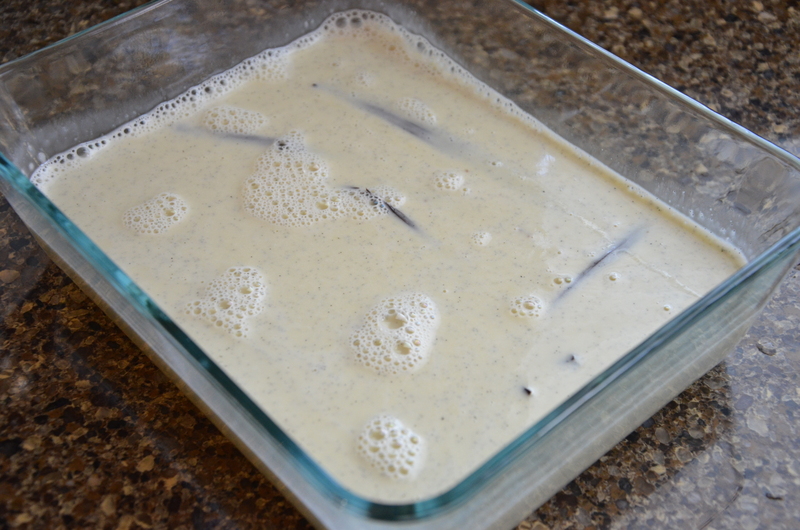 Add the vanilla and slowly drizzle the melted chocolate mixture and beat for about 1 minute until combined. In a large bowl, beat the egg whites and a pinch of salt until foamy. 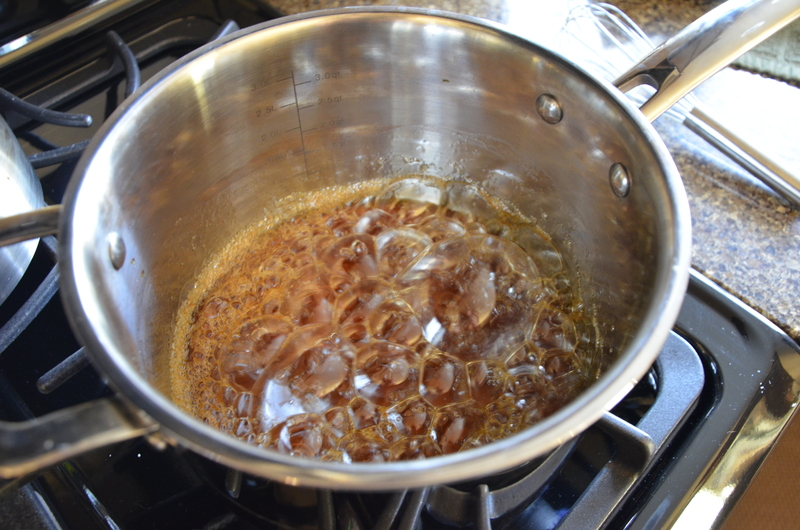 Increase beating to high and slowly add the remaining 1/2 cup of sugar crystals in small batches. Continue beating on high until stiff peak. 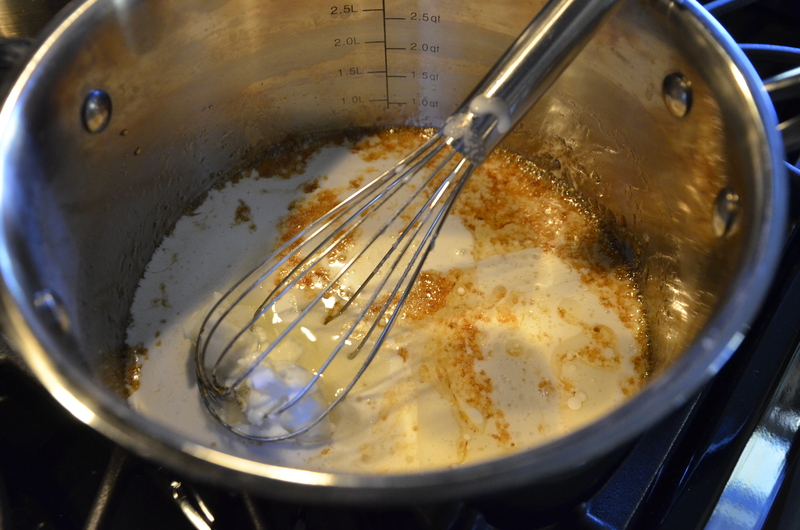 Gently fold the egg white mixture into the chocolate mixture in multiple batches. I did three. Pour batter evenly in one 9 inch pan or 2 tart pans. Bake at 325 degrees for 20-25 minutes or until middle is just set when jiggled. Cool and cover until ready to serve. 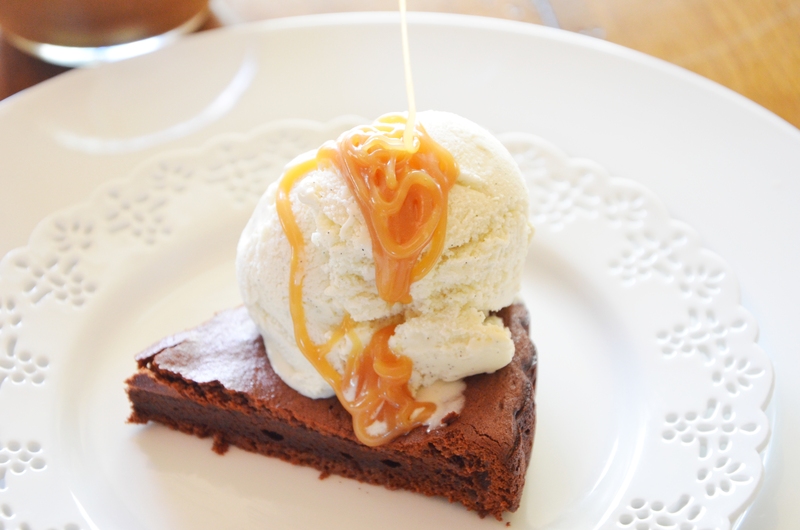 I warmed ours slightly (15-20 seconds) before topping with ice cream and caramel sauce. 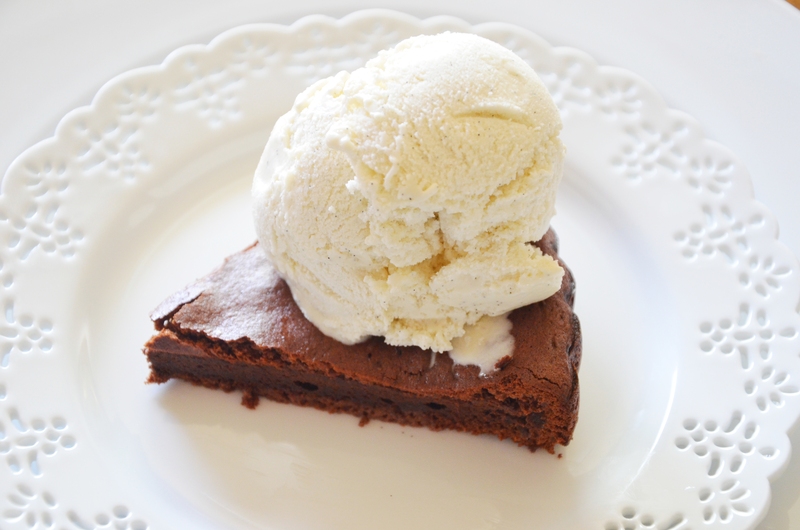 So far, this is my favorite dairy free ice cream recipe…and I have tried several. The egg yolks make all the difference! 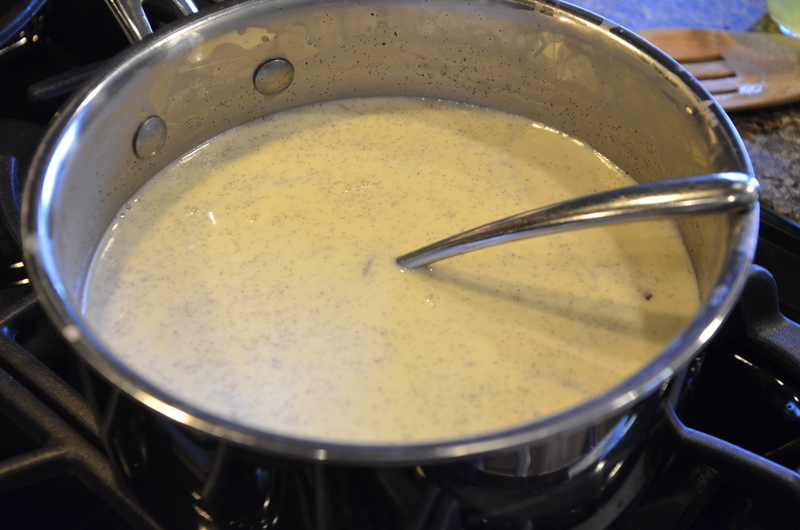 In a cold saucepan add the coconut milk, vanilla pods and scrapings, maple syrup, and egg yolks. Whisk to combine. Heat over medium low, stirring constantly until the mixture coats the back of the spoon, about 10-15 minutes. Do not let boil. 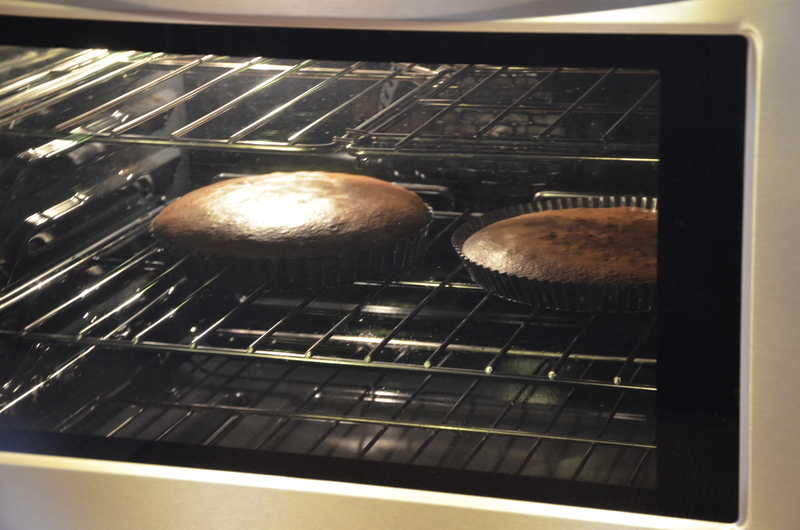 Transfer to a large, shallow dish, allow to cool for 10 minutes. Place a piece of plastic wrap directly on liquid to prevent condensation and refrigerate for a minimum of 4 hours. I always refrigerate over night. When chilled, remove the vanilla pods, pour the liquid into an ice cream maker and follow the manufacturer’s instructions. I use the ice cream attachment for my KitchenAid mixer. LOVE it. When it reaches a thick soft serve consistency, spoon into an airtight container and place a piece of plastic wrap directly on top of the ice cream under the lid to prevent freezer burn. 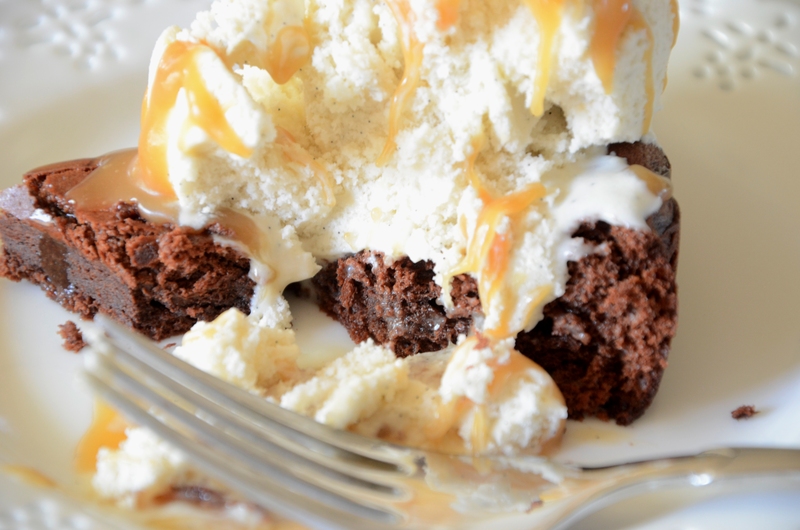 Allow the ice cream to sit at room temperature for 10-20 minutes before serving with an ice cream scoop. 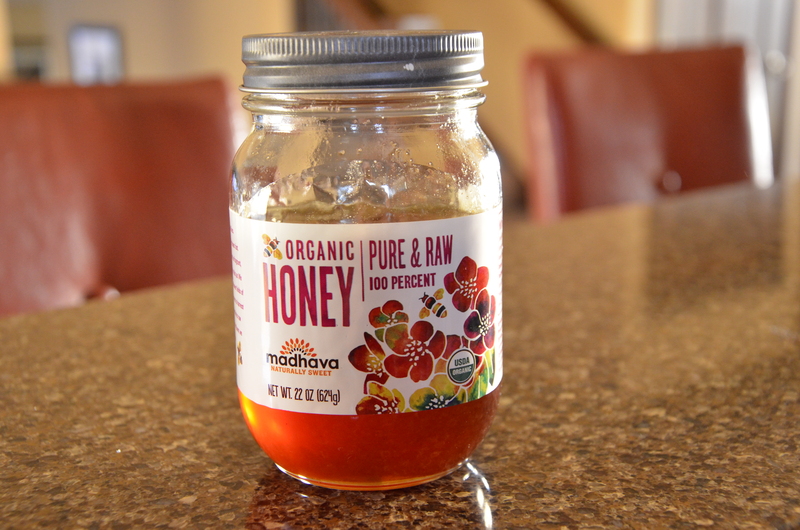 This has a delicious intense honey flavor with the consistency of caramel. Wonderful! 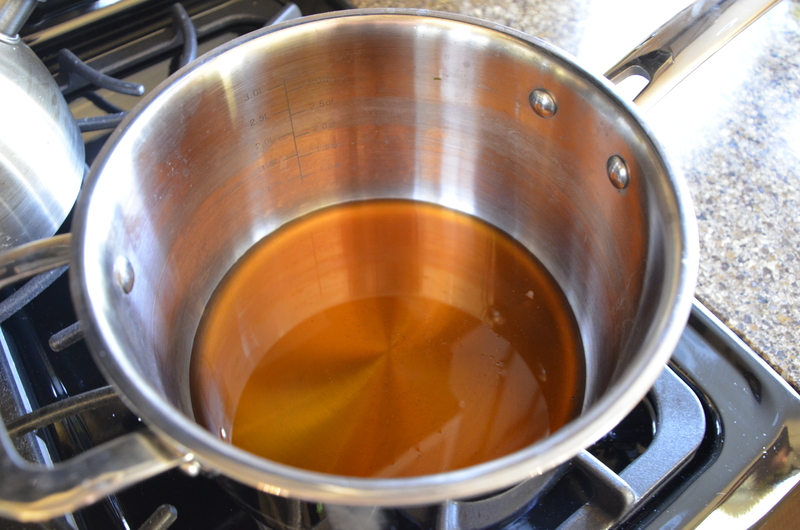 Boil the honey on medium heat in a deep saucepan. Simmer for 5-7 minutes swirling the pan occasionally to ensure even browning. 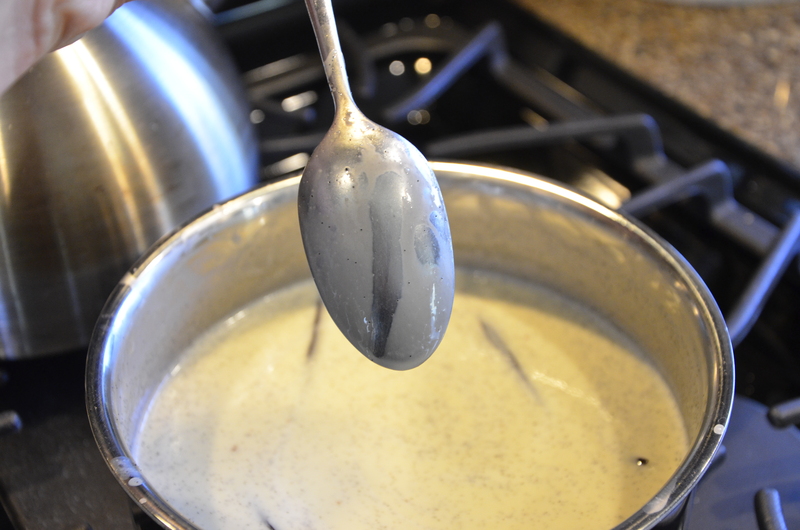 Remove from heat and carefully whisk in the shortening, coconut milk, and salt. Return to heat and continue cooking for 15 minutes stirring occasionally to ensure the coconut milk doesn’t scorch on the bottom of the pan. You may need to lower heat slightly. Pour into a glass container and allow to cool at room temperature, uncovered. Chill in refrigerator over night before serving. Will keep refrigerated for 2 weeks. 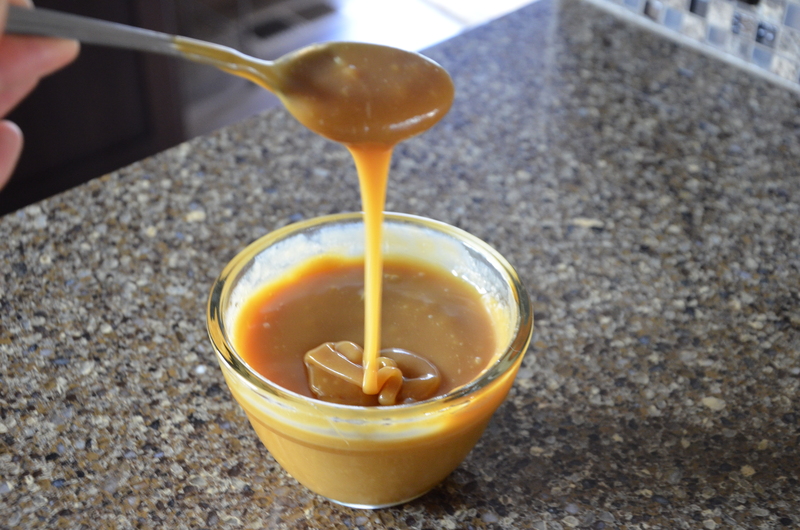 *When I checked it in the morning, the honey had slightly separated at the bottom of the glass dish and the caramel sauce seemed too thick. I stirred it thoroughly with a spoon put it back in the fridge for a bit and it turned out fabulous! Hasn’t separated since. Dear April, first of all I want to wish you happy belated birthday even though it sounds it wasn’t the very best of days. Secondly, I want to thank you for sharing your wonderful recipies, they have given my gluten and dairy free father very delicious moments. 18 monts ago his doctor recommended him a glutenfree, dairyfree, eggfree, yeastfree diet (and a whole bunch other forbidden items in his diet) and for a moment me and my mother were almost desperate. Then I started searching and I found Your blog. I love reading your blog and I’m always waiting anxiously your next post. You are a true inspiration for many of us who follow your posts, your beautiful pictures and moments of your life you share with us readers are amazing. Thousand thanks for many enjoyable moments. How sad! We were just talking about that type of scenario today. I can’t imagine them being stuck here for hours with that! Awful. Belated birthday wishes, April. What a way to celebrate! I’m glad that nothing was found even if it was a hassle. A house fire is one of life’s great tragedies. Your Romeo has the same sense of time as my dogs all seem to have. I cannot tell you home many Friday evenings I’ve rushed Max to his vet and then, in rush hour traffic, to the emergency vet because he ate something. Why can’t he eat whatever it is on a Wednesday morning? You’re right. This is one “fabulous dessert” and perfect for your birthday.